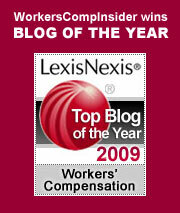 In the world of workers comp, there is no lack of opportunity for fraud. We’ve seen doctors rip off the system by billing for services that were either never provided or not needed. We’ve seen employees fake injuries (relatively rare) or malinger on comp long after injuries have healed. We’ve seen insurance agents pocket money intended for insurance premiums. We’ve seen insurance adjusters embezzle claims funds. We’ve seen state comp bureaus (Ohio) engage in fraud. And we’ve seen employers rip of the system in a number of ingenious ways. With Ung listed as the (minority, female) owner, NBC Contractors qualified for preferential treatment on public projects. Between 2003 and 2007 they successfully bid on 27 public works projects, including El Cerrito City Hall and Piedmont Elementary School. With these (criminal) “cost savings,” NBC was able to underbid their competitors. These business practices cheated a lot of people: NBC’s own workers, their insurance carrier, their competitors, and all law-abiding businesses who played by the rules. We can only hope that the quality of their work was up to standards, which would at least keep their customers off of the long list of parties directly injured by their actions. Check out Health Wonk Review: Bosstown edition. Tinker Ready at Boston Health News makes her debut as host with an informative and entertaining edition of the biweekly roundup of the best of he health policy blogs. Michael Fox of Jottings By an Employer’s Lawyer offers a great rundown of Supreme Court Nominee Sonia Sotomayor’s opinions on labor and employment law. More state AGs file against Chrysler bankruptcy – we’ve blogged about Michigan and Ohio; now Illinois and Indiana join the list of AGs that are attempting to protect both workers and their state workers comp systems from any adverse effects. The bone of contention is that under the terms of the proposed sale, Fiat would not be required to assume workers’ compensation liabilities of injured Chrysler workers and individual state systems would be forced to deal with these uncovered workers. Joe Paduda of Managed Care Matters has completed his firm’s First Annual Workers Compensation Bill Review Survey. Peter Rousmaniere’s article A Brutal Interpretation in Risk and Insurance tells the story of Taha Saad’s unfair treatment under the defense Base Act. Saad, an Iraqi translator, worked for the Army until he lost his legs in an IED explosion. A U.S. Department of Labor judge recently affirmed AIG’s weekly payment of $46.15 for his permanent disability. Aging America: A Looming Catastrophe? Take 78 million Baby Boomers and their retirement plans, mix with a woebegone social security system and the global economic meltdown of 2008/2009. Add in rising health care costs and the insurance industry’s natural propensity to avoid troubling issues, and you have a recipe for a looming catastrophe of the first order. That’s the premise that Lynch Ryan CEO Tom Lynch puts forth in his article in the current issue of the IAIABC Journal, Aging America: The Iceberg Dead Ahead, which IAIABC has given us permission to make available to our readers. Tom describes the massive problems that the aging workforce presents to workers compensation systems – problems that are compounded by funding problems with other social insurance programs. He makes the case that neither states, the federal government, or insurers are prepared for the claims and cost problems that will develop over the next decade, and offers recommendations to address these problems, including the creation of a special federal commission. Admittedly, we are partial to the author, but we think the article is worth a read. In addition to putting in a plug for the article, we’d like to call your attention to the publication that it appears in. The IAIABC Journal is published two times per year by the International Association of Industrial Accident Boards and Commissions (IAIABC), an association of government agencies that administer and regulate their jurisdiction’s workers’ compensation acts. It’s a peer-reviewed Journal, and one of a few remaining venues that publishes original research papers and in-depth treatment of workers compensation issues and opinions. Issues are substantial – the current issue weighs in at 158 pages. It is edited by Robert Aurbach. For a sampling of content, we’ve taken the liberty of printing this issue’s article abstracts to give you a flavor – click to continue. (1) How much weight do you give to the person’s leisure activities and/or length of employment? It seems these would certainly be factors in assessing whether the employment is the predominate cause. When assessing the work-relatedness of skin cancer, claims adjusters will look carefully at non work exposures: hobbies such as hiking, fishing, boating, outdoor sports, surfing, swimming or simply tanning. Balanced against these exposures will be the work setting: outdoors all the time (eg, roofing, migrant farm work, paving) or just incidentally (framing carpentry). While the case law is still rather limited, there are examples of compensable skin cancers involving a limousine chauffeur (!) in New York and an architect in Texas. [NOTE: a sun screen manufacturer, unsurprisingly, is keeping close track of case law developments!] It is safe to assume that the burden of proof remains on the employee to show that the cancer is work related, but this burden is now supported by substantial medical evidence. Indeed, the existence of government funded education on the risk – here is a CDC link – would tend to support claims of compensability. As far as length of employment goes, it usually does not matter. As in the case of repetitive motion injuries, the most recent employer is usually on the hook for coverage, even if the employee has only been working for a few weeks. (2) What steps could employers take to prevent work-related skin cancer other than the mentioned provision of sun screen and policies to enforce dress code? (3) What about research indicating that some, if not all, sunscreen products are carcinogenic? While there is some evidence that tanning booths may be associated with cancer, I am not aware of any medical evidence to support a connection between sunscreens and cancer. In any event, the risk of not using a sunscreen far exceeds the risk of using one. 4) What balance should be sought between skin cancer and heat-related illnesses (if any “balance”) as far as prevention is concerned? Another reader wonders how many companies have actually implemented the recommended preventive measures. That’s a great question. Judging by limited observation of workers in the sun, smaller employers have done little if anything to prevent risk. Any time I see a worker in the hot sun, shirtless and hatless, I assume that the cancer issue is simply being ignored. What, if anything, will mobilize employers to take action to limit sun exposures? It usually comes down to money. Employers who operate in states that view skin cancer as potentially work related will eventually find it cheaper to provide (inexpensive) sunscreens and hats to their workers in the great outdoors. If state courts reject these claims, the workers will bear the burden. Let’s hope that employers take action before the courts force the issue. We have a known risk and we have proven remedies. Reason says that employers, at a minimum, will immediately share this information with exposed workers. But then again, how often is the voice of reason heard in the American workplace? With the full heat of summer bearing down on us, the Insider has deputized its readership to become informal safety inspectors: the next time you leave the office, observe any people who are working outdoors. Your checklist should include the fundamental safety drill: fall protection for height exposures; personal protective equipment such as hard hats, work boots and goggles; secure scaffolds and ladders; proper use of machinery (lawnmowers, clippers, circular saws, etc. ); proper lifting and efficient material handling. Here is a safety issue that you are likely to observe in the breach: protection from skin cancer. Exposure to the direct rays of the sun, especially at midday, is a significant safety hazard. Alas, when most people labor in the full sun, they usually take action against the heat, at the expense of protecting themselves from the sun’s rays. Cancer prevention dictates the wearing of long-sleeved shirts, a hat with neck flaps, sunscreen for exposed skin and sunblock for the nose and lips. When was the last time you saw a landscaper, carpenter or roofer dressed appropriately? When the heat rises, the shirts tend to come off. Bandanas and “do-rags” – considered cool in working circles – keep sweat out of the eyes, but they do little to protect the skin from the sun’s rays. Hats with flaps? Dude, you must be kidding. Goggles and hardhats? They are the first to go when the heat rises. As for the advice to “avoid exposure between the hours of 10 am and 2 pm,” that is simply not going to happen. There is work to be done and those are prime hours for doing it. Siestas might be culturally acceptable in the tropics, but in our productivity-driven culture, siestas are not an option. As we have pointed out in prior blogs, the connection between work and occupational disease is often difficult to prove. With the exception of public safety employees, most workers face formidable odds in collecting comp for occupational diseases. There often are factors that mitigate against the acceptance of a claim: family history, smoking, fair skin, etc. Workers must be able to prove that workplace exposures are the “predominant cause” of the cancer. Sure, a laborer is under the sun at work; but he or she might also have significant exposure during leisure time, going to the beach, fishing, or just working in the garden. rebuttable presumption that the above injury arises out of and in the course of the lifeguard’s employment if it develops or manifests during the period of the employment. Note that the symptoms must develop during employment: this in itself may prove problemmatic, as many cancers occur some time after the direct exposure. Beyond that, the bill establishes a compensability presumption for one very limited class of workers, lifeguards. It does not address the myriad workers who face similar hazards on a daily basis (even if their work uniforms involve more than just a bathing suit). Despite the fact that many workers will develop skin cancers which are likely to be work related, the number of compensable incidents will remain modest. The comp deck remains stacked against workers in the general area of illness. Compensability and safety are two separate issues. We may not be able to do much about expanding coverage for work-related cancers, but we can take aggressive action to prevent them. It all comes down – as it does so often – to management: do you tolerate your workers’s ad hoc efforts to combat the heat, or do you enforce “best practices” in cancer prevention. Do you make sunscreens and head protection readily available on the jobsite, or do you allow your workers the “individual freedom” to do as they please? We all know how most managers respond. They take the path of least resistance. The risk of an accident is one thing, the seemingly remote risk of illness is quite another. It will take many more tragic cases of work-related cancers before a true prevention mobilization takes place. For workers struggling under today’s galring sun, we can only hope that a word to the wise is sufficient. Hot off the presses – Richard Eskow has posted the most recent edition of Cavalcade of Risk. He’s got a good round-up of risk-related posts, but he had hazardous duty posting it due to a huge number of spam submissions. Spammy, fly-by-night blogs seem to be proliferating, grrr. Guess that is one of the risks inherent in business blogging. We’ve just joined the rank of Twitterers – just getting our feet wet so far, but check us out twitter.com/workcompinsider. Twitter seems to be a love it or hate it type of thing for people … some critics go to pretty creative lengths to weigh in with their opinion. Risk Management Monitor – the official blog of Risk Management magazine, providing daily stories, commentary, interviews, podcasts and videos related to the world of risk management and insurance. Meet the bloggers. Ramazzini – a blog on work and health by Annet Lenderink, trained occupational physician and a journalist, who works as coordinator of knowledge dissemination at the Netherlands Center of Occupational Diseases. The blog is named after the Italian founder of Occupational Medicine Bernadino Ramazzinni (1633-1714). Safety At Work Blog – an Australian blog focusing on news and opinion on important workplace safety issues. The blog was founded by workplace safety consultant and Kevin Jones. Meet Kevin and the other blog contributors and you can also follow them on Twitter. Roberto Ceniceros of Business Insurance has been tracking the potential impact that a Chrysler bankruptcy and sale could have on state workers comp systems. In a story last week, he reports that Michigan Attorney General Mike Cox has taken legal action to protect the state. Cox stated that Michigan’s Self-Insurers’ Security Fund could face insolvency as a result of Chrysler’s bankruptcy and sale. Now, Ohio state officials are raising concerns about how the Chrysler sale could affect Ohio’s workers comp system. This week, Ohio’s Attorney General Richard Cordray has filed a “limited objection” to the pending sale. “While Chrysler’s bankruptcy filings show the automaker is committed to fulfilling its workers comp obligations, the filings do not hold a new owner to the same conditions, the attorney general said.” According to a news report in Columbus Business First, there are about 5,000 Chrysler workers in the state. And beyond Chrysler, there is the matter of whether General Motors is another likely candidate for bankruptcy – many expect this to be the case – see key dates in GM run-up to bankruptcy deadline. GM is a much larger company so problems could be multiplied, a matter that we discussed in our December posting about Maryland officials monitoring GM solvency related to workers comp. For more on the way bankruptcy works for both insured and self-insured entities, see our postings of Robert Auerbach’s three-part series on bankruptcy and workers compensation, part 2, part 3. ECT “graduates” went in to hundreds of schools, hospitals, churches, libraries, and homes throughout New England to remove asbestos. Most of them had no idea what they were supposed to do. Now there is deep concern that the workers, mostly young men from Central America, breathed the fibers, which can lodge in the lungs and lead to death decades later. Most had no idea how to properly wear a respirator. In addition to their own exposure, these workers may have exposed their families to the cancer risk. Asbestos workers, if not properly trained, can inadvertently carry the fibers home on their clothes or hair. More than a third of the 12,750 asbestos worker licenses and renewals issued in Massachusetts between 2002 and 2007 went to ECT “graduates.” In New Hampshire, it was more than two-thirds. The reference to “last breath” is especially ironic, given that many of her “students” – along with innocent family members – will suffer excruciatingly painful deaths, as their breathing slowly and inexorably shuts down. MySafeWork Blog is the blog of Canadians Rob Ellis and Jessica Di Sabatino, who lost a son and brother to a workplace accident in 1999. David was only 18 when he died and his Dad and sister have been devoted to educating young workers – as well as parents and employers – about the importance of workplace safety related to youthful workers. New Englanders and those interested in healthcare should take note of Boston Health News, authored by Tinker Ready. She is a health care journalist who has covered health and science news for a variety of notable publications, including The Boston Globe, The Washington Post, the Los Angeles Times, and Esquire, to name a few. We discovered her blog through Health Wonk Review, which – incidentally – we are hosting here tomorrow! We note that NIOSH has a Twitter feed. Not sure how long the National Institute for Occupational Safety and Health has been tweeting, but it has been a useful format for disseminating news about the H1N1 outbreak. In addition to his Workers Compensation blog, noted workers comp trial attorney and author Jon Gelman can also be found on Twitter at jongelman. SafetyNewsAlert – edited by Fred Hosier, this site is more of an e-zine than a blog, but has useful articles, news, and links on various workplace health and safety issues. Lloyd’s has several bloggers now, all accessible from the Lloyd’s blog page.